Really? In a giant grudge match against every virtue and vice this world has to offer, LOVE walks away with the Championship belt? According to scripture… YES. One exercise I’ll often do with students is ask them to choose which statement (and they can only choose one) is most accurate. Statement 1: Love is a feeling. Statement 2: Love is a choice. 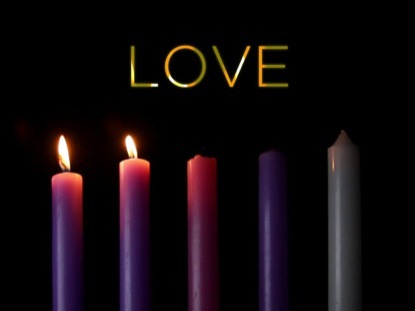 Statement 3: Love is an action. More times than not, the most popular choice is statement 1: Love is a feeling. It makes sense, right? I mean, an emotionally driven, hormonally hopped up teenager who lives in a culture that has made billions of dollars on the concept of “love at first sight” has to go with love as a feeling. Yet, any of us who have gotten married need only about 30 days (or maybe even 30 hours) to know that love has to run deeper than a feeling for it to last and reach its full potential. So which is the more accurate statement? Is it Statement 2: Love is a choice? Or Statement 3: Love is an action? Honestly, it’s a trick question. I don’t think we can fully understand love until we put all three together. A deep FEELING we couldn’t shake had driven Janelle and me to this point. We were making the CHOICE to adopt. We took ACTION by going to great lengths to unite with and bring him home. It was all driven in LOVE. I think that’s a great love story. 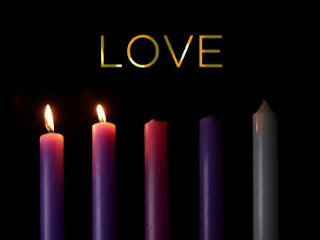 BUT, I think the Advent Story… the story of the coming of Christ, is an even greater love story marked by a FEELING, a CHOICE, and an ACTION. Then, in love, he took ACTION for you and I by carrying our sin on the cross. That’s the kind of love story that does more than make billions of dollars. It’s actually the kind of love story that conquers ALL. I had the opportunity to preach in our main services Sunday, December 6. It was a part of our "Anchored" series, where we are taking a look at four angelic statements made in the Christmas Story. I took week 2: "The Lord is with you." I had the opportunity to share our most recent adoption story, rewrite and sing a song, do a little happy dance, and talk about the difference between hearing and owning the promises of God. Good times. 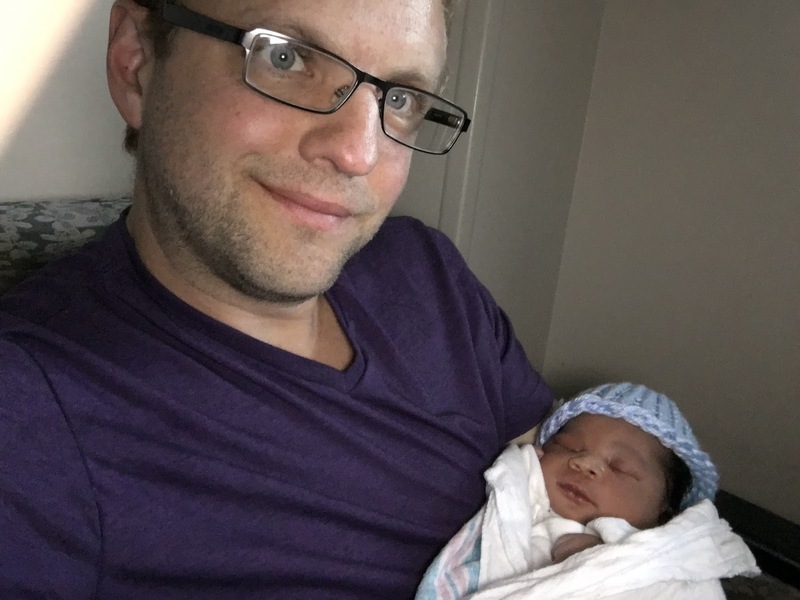 I This blog post is my attempt to make people aware of 3 ways to come alongside us as we seek to cover our adoption costs... it's just plain awkward to talk about. I don't want to come off begging or sounding like I'm trying to guilt anyone into doing anything. The reality is that adoption, whether domestic or international, costs a lot of money. 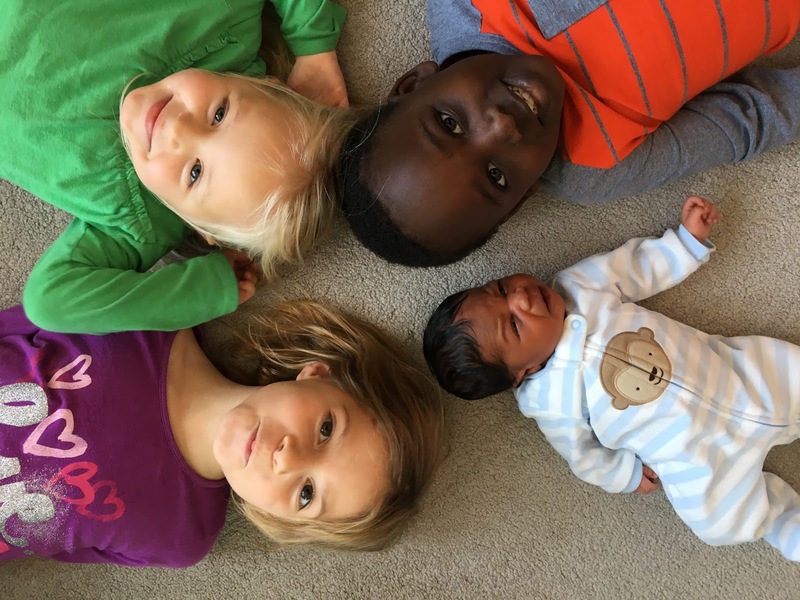 As we weighed into the addition of a 4th child and our 3rd adoption, we were faced with once again with the reality that there was no way we would be able to fully cover the adoption inside our current financial reality. Because of this, we have been prayerfully committed to finding alternate forms of income as well as trusting God's provision as only he can do. In both cases, he is proving faithful. As the timeline became extremely fast-tracked, we are in a spot where we have a large amount of needed funds despite the place we are at in the process. This has us indebted (both figuratively and literally) to some amazing folks who have loaned us he the needed funds to get us this point and we continue to work though ways to get all the necesarry funds to cover all the costs surrounding the adoption of Malachi. 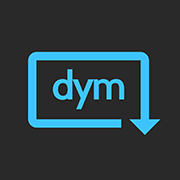 Download Youth Ministry Resources: Just over two years ago I was approached with an opportunity to partner with Download Youth Ministry, a website dedicated to provided affordable downloadable youth ministry resources to youth workers. I currently have nearly 40 items available for purchase on that site. Although geared toward youth pastors, several items could be of value to teachers and parents. Any royalties I make from this have and will continue to help cover our adoption costs. You can check out those resources HERE. 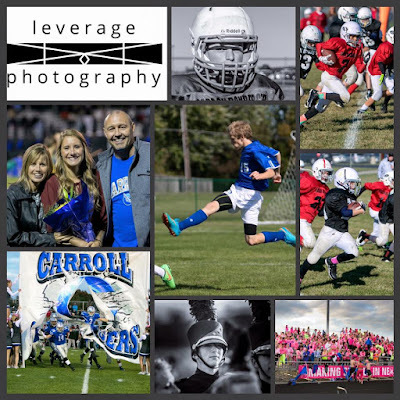 Leverage Photography: I outline this option in more detail in THIS POST, but Judd Johnson has a passion to leverage his passion for sports photography toward helping families fund their adoptions. You hire him to shoot photos of your student athlete and "payment" for the photos goes to Lifesong For Orphans into our account (read more about them below). Leverage is currently working with three different families are in process or completing their adoption. Judd doesn't take one cent for his work. We are humbled and grateful that he has partnered with us. 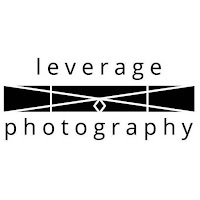 Check out www.leveragephotography.com and work directly if Judd if interested. 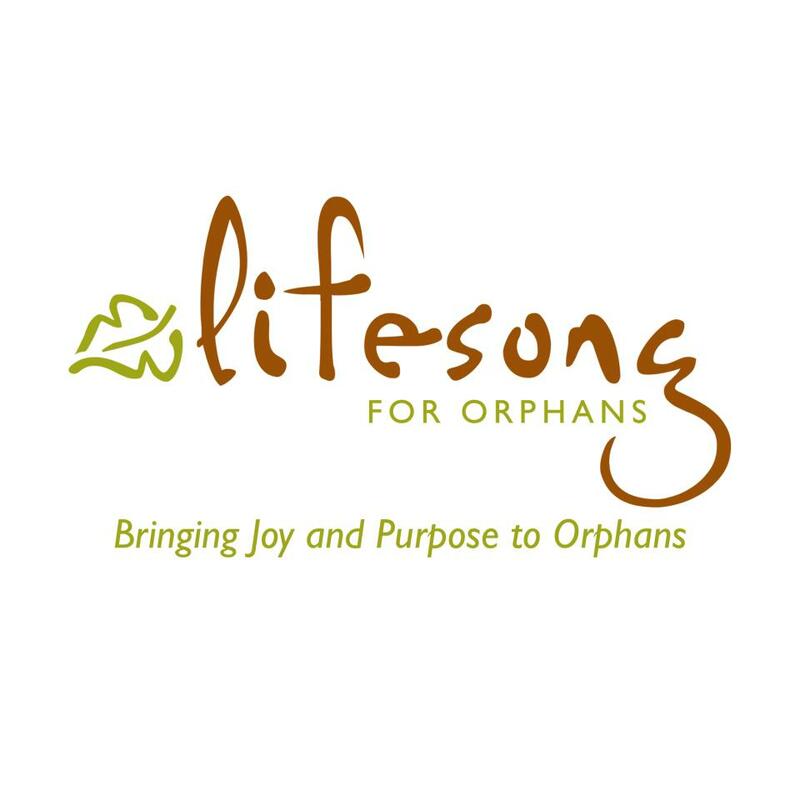 Lifesong for Orphans Matching Grant: There are many organizations that offer financial assistance to families who are adopting in the form of grants. 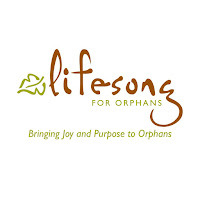 One such organization is Lifesong for Orphans. Lifesong believes in empowering the people of god to partner with families who are adopting by providing matching grants. We received word last week that we have been granted a $3000 matching grant - for every dollar people give into our account will be matched by Lifesong up to $3000. There's two ways you could give toward our Lifesong Grant. 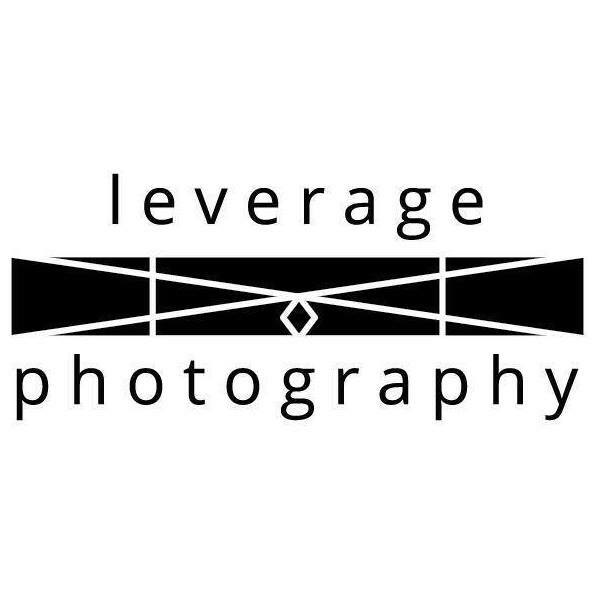 First, as you read above, Leverage photography works with Lifesong. 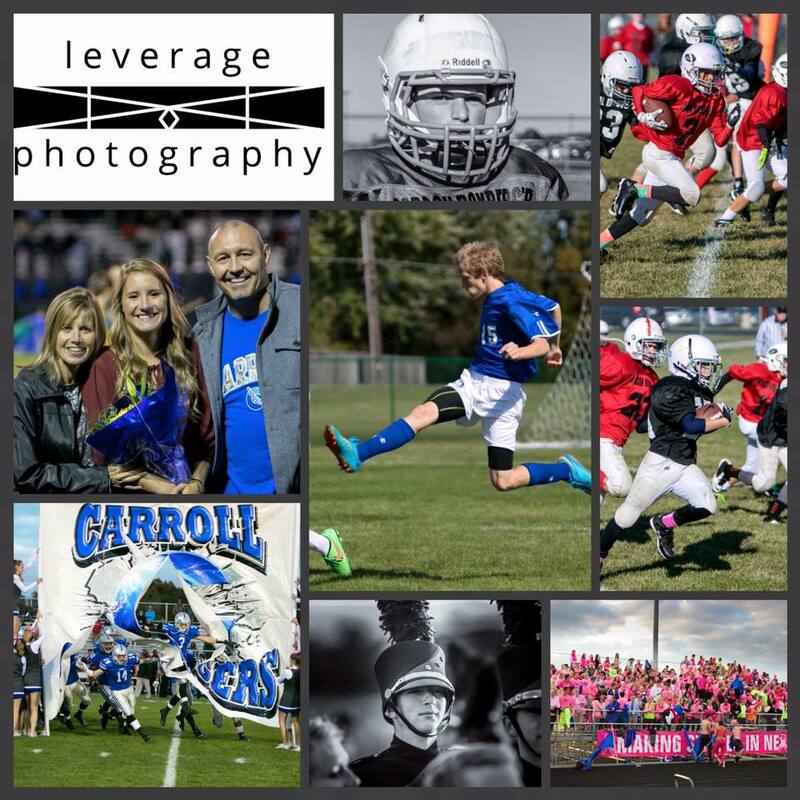 So, if you hire Judd to take your sports photos, your "payment" will be matched by Lifesong! Second, it is possible to simply donate into our Lifesong account. The simplest way is to go to our My Story Page and donate. 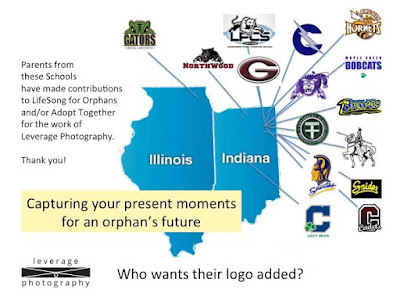 You can also send a check payable to “Lifesong for Orphans” and mail them to: Lifesong for Orphans, PO Box 40 Gridley, IL 61744. In the memo line, be sure to include out account #, which is 5679. *TO NOTE: If, by chance, we were to receive donations exceeding the $3000 matching amount, all money given into our account (minus credit card processing fees) will still go to our adoption costs. Full disclosure, our incurred costs we are still seeking to cover far exceed $6000. As I said at the beginning of this post, this is just an awkward topic to talk about. By no means are we pressuring anyone to take on our financial burden. We are committed to continued work to cover the costs as well as are trusting God's provision along the way. This is merely our way of making opportunities known. 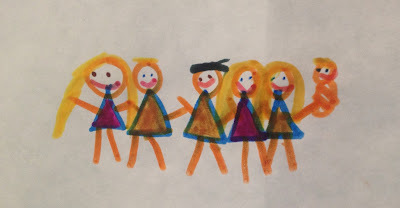 With each of our kids we have made it a point for either a first or middle name to have some level of connection to the people who have walked in and through our life and left a profound impact. The other name tie into their story in some way. Katylynn: Named after 5 different Kate-style named friends and students who are very dear to us. Ivy: The name her birth mom gave her. Moses: Obvious correlations to OT Moses story. Andrew: 4 different Drews/Andrews who are dear to us. Joy: Middle name of Kristy Mikel, one of Janelle's best friends and a major support to our journey. So, what is the story behind our newest addition? The birth mother made it clear to us that she would like us to name the baby. To be completely honest, we hadn't had a lot of conversation to that point. We found out we had a boy early morning. As we talked it through, the name just rang true... Malachi Davis. 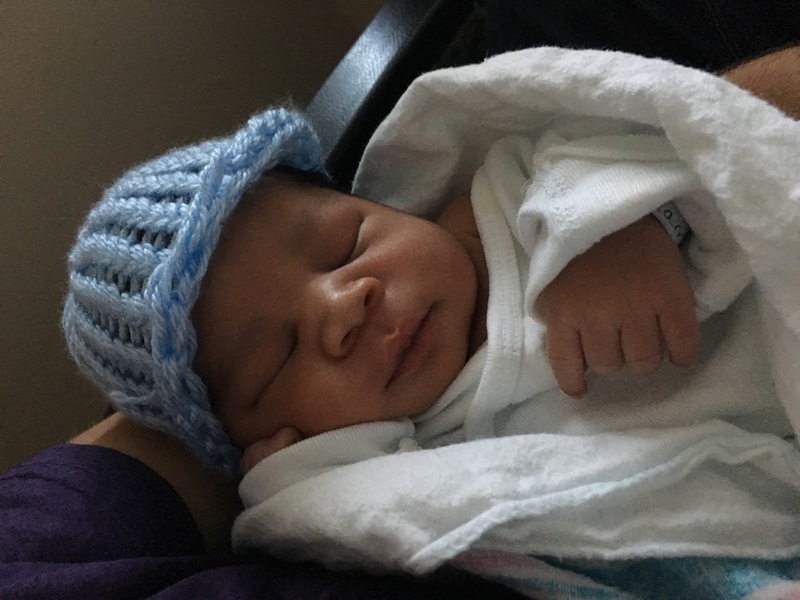 Malachi is Hebrew for messenger of God... We are taking a little translation freedom (forgive me Dr Carpenter) over the fact we received a crazy message that showed up on our phones that on our phone giving us about 8 hours notice of his birth. We also loved the thought of having 2 boys with an biblical "M" name. Davis: When I started at NMC in an internship my Sophomore year, I walked timidly into a room full of 8th Grade guys. One of those guys was quick to introduce himself. "I'm Dave." The kid was sharp... a clear leader. David Cramer was the first middle school guy and eventually high school guy I had the privilege of investing in. Somewhere along the way I started calling him Davis Cravis. I ended up really liking the name Davis as a nod to Mr Cramer. Also, David is the name of Janelle's father. I pray this little messenger of God will grow to be the man of depth and character that is present in his grandfather and an student I now call friend. Some of the biggest milestones in my life have taken place in very odd places. For example, I proposed to Janelle in a hotel parking lot just outside Denver, CO. I had a different spot picked out. It was a nice park in the evening, but after a sprinkler system scared us off, I had to improvise. All last week I dreamed up what it would be like to walk Malachi through the doors of our house to introduce him to the other three kids. We would walk him in his car seat into the middle of the family room. Janelle would pull him out as their awestruck eyes would lock in on his tiny frame. Introductions would be made as we all huddled in and Janelle's dad or some other bystander would snap photos. It didn't quite work out that way. Because we were given permission to leave the state Malachi was born in but not allowed to enter Indiana, we decided to rent a car and make the drive to the Ohio/Indiana border. Once near the border, our options were limited, so we decided a McDonald's (free wifi) would be the best spot for Janelle and Malachi to camp out and wait while I drove into Fort Wayne to meet up with the kids and pick up our van from my in-laws. To add to the drama, the snow started heavily kicking in just as I left for Indiana. The excitement of my kids on the drive into Ohio included them changing the lyrics to the songs we were listening ("I gotta feeling, that we are going to to meet Malachi" to the tunes of the Black Eyed Peas). It took me about 3x longer than planned to do the trip. In my white-knuckled driving (nearly went off the road twice with the kids in the back seat) I completely forgot to give Janelle the heads up to let her know we had arrived. The reunion was not the picturesque scene I had in my head, but it was no less perfect. In the end I'm reminded it is not the place that carries the weight to the most significant moments in life but the people and purpose of the moment. In fact, the place could be extremely insignificant, but suddenly, because of what has happened in that place, it is forever significant to you and your story. It is then the type of place where every time you see it, you are catapulted back to that significant moment in time and flooded with the best of memories... like a seemingly insignificant McDonald's in Van Wert, OH will be to the Prenkert 6 from this day forward. In July, we sensed a stirring from God that there was room in our family for another miracle story. In August, we began to do some research on domestic adoption options. In early September, we began the steps with an organization. On November 5, our adoption profile went live. A part of why we went with this organization was due to the speed they are able to match adoptive families with newborn orphans. Still, we had been told the average wait time would be 4-13 months. After minutes of prayer (yes, minutes... we didn't have time for more than that) and seeking some wise counsel, we took to a step of faith like we feel this journey has been marked by all along. On one hour of sleep we set off on a whirlwind trip of flights and car rides. 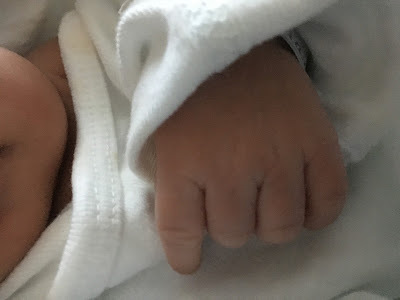 We walked into the hospital at approximately 3 pm Thursday, November 12 to meet the birth mom and our BABY BOY! How do you sum up the moment where you walk into the room to see the child you are to call your son and the brave woman who is making one of, if not the, toughest choices in her life? After some shared time together, the birth mom asked if we had a name selected. We informed her, Malachi Davis Prenkert. She loved it. About an hour later, we were handed baby and guided to another hospital room to begin care. We did not have legal custodial rights, but birth mom wanted us to take over in care asap to begin the bonding process. In that room, we were able to FaceTime back home to the kids and introduce them to their baby brother. Feeding, burping and diaper changes began as we spent the first night of our son's life in the hospital with him. Friday, November 13 was marked by meetings with social worker, birth mom, and lawyers to sign over custodial rights. By Friday evening we had full custodial rights and were discharged from the hospital. Friday Night, November 13 was spent in a Holiday Inn near the hospital with our son. Due to interstate adoption law, we had to go through a waiting period until governmental consent for him to leave the state as well as consent from our homestate (Indiana) to enter is granted. We were told this process could take 7-14 days. As only God could design, there were several unique factors that allowed for a meaningful and comfortable wait over the week to follow. My mom and the amazing Kristy Mikel arranged a care structure for our three kids back home. Regular FaceTime appointments allowed for us to interact with them and they with us/their baby brother. We had family connections inside the state that allowed for lots of good connections and a place to stay Saturday-Sunday (Nov. 14-15). Janelle's parents were vacationing nearby. They were able to meet their 2-day old grandson and spend a couple days with us. A family friend made a completely furnished home available to us while we waited and bonded with our little dude. Still other significant acts of support and generosity that are either not my place to share or not quite ready to share. We received word Friday, November 20 that we could leave Malachi's birth state, but did not have permission to enter Indiana yet. We wouldn't until after the weekend. Itching to unite our entire family, we made the decision to rent a car and started the drive home that evening. On Saturday, November 21, I dropped Janelle off at just outside the Indian border, drove into Fort Wayne (in some pretty nasty snow), dropped off our rental car at the airport, and picked up our van (from my in-laws) with the kids in it! We, very carefully (almost went of the road twice) made our way into Ohio where the 6 of us were united together. Currently, we are hanging out in a hotel... a complete family of 6 containing 4 unique and amazing miracle stories that can call me Daddy. We invite you to rejoice with us that a brave birth mom chose life and chose us. Pray for the health of baby Malachi and the bonding process with us. Pray for the other three kids as they get acclimated to a new addition. Pray for the continued adoptive process. It has contained God's fingerprints all over it. We deserve none of it. We praise God for every aspect of it. We continue to walk by faith. *We are still leaving the state where Malachi was born off any public spaces of the internet in order to respect the continued process involved. Also, to be clear, the timing of this process (from time of application to match to bringing baby home and being selected by a birth mom on the evening of her going into labor) is far from normal. Then again, it is very hard to explain a "normal" adoptive process. Every one is filled with it's own twists and turns... both positive and negative. 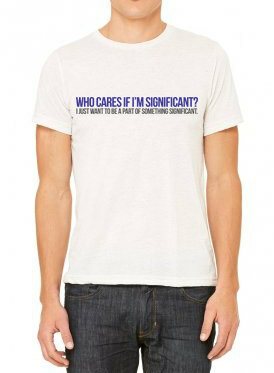 In an effort to raise funds for the adoption of our 4th Child, we are selling T-shirts that tell our story. This t-shirt is my design and it tells my portion of the story. I was on an airplane somewhere over the Atlantic Ocean October 2006 when I wrote the phrase for the first time. Janelle and I had (along with Caleb 'Biz' Bislow) just finished up speaking at a Youth Camp outside Calcutta India. I was processing through the incredible opportunities God had granted me and wrestling with the enormous needs present in the world. I wanted to do something, but this time it was different. This time I felt so insignificant in it all. In that feeling, I was also able to come to grips with that fact that so much of my life to that point had been caught up in meaning and significance... or to put it more clearly, I was convinced that my meaning would come when I was seen as someone significant. If I could become some kind of Christian All-star then I would know I had arrived with God. WHO CARES IF I'M SIGNIFICANT? I JUST WANT TO BE A PART OF SOMETHING SIGNIFICANT. This became a somewhat of a life mission for me from that point forward. I'm not that special (in fact I'm kind of a big tool), but I believe God has allowed me to be a part of some pretty significant things for the sake of His Kingdom with my life. The opportunity to be an adoptive father ranks near the top. In our Student Ministries, the hope is for the 2015-16 school year is to be marked by this verse (Isaiah 1:17). As our staff prayed for direction and we began to run the concept of a school year where we declare to the the oppressed, orphans and widows can find peace in the statement "You Are Not Alone," we became convinced God was in it. At Summer Camp, Tim and I presented the vision for the year and then gave the specific challenge to everyone in the tent, "What if you took Isaiah 1:17 personal? What would it look like for you in the next year?" To back up a little, I had been wrestling with the personal application of the challenge all day. There was nothing specific jumping out at me. 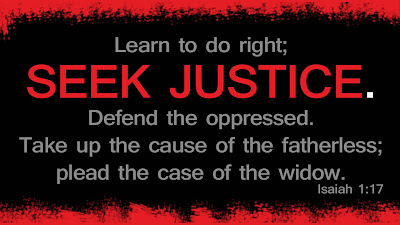 I've had some amazing opportunities to live out the call to SEEK JUSTICE with all three groups (oppressed, orphan, widow) mentioned in Isaiah 1:17. Janelle and I daily look into the eyes of two amazing kids who remind us why it is worth "taking up the cause of the orphan." In fact, as I meditated on the scripture and asked the Lord where he was leading me, I jokingly said, "God, I think I'm pretty much up to my neck when it comes to that!" Janelle and my conversations had us to the point where we felt our family was "complete" (aka... "I'm not sure we can handle another one.") So, my mind jumped to the other categories. 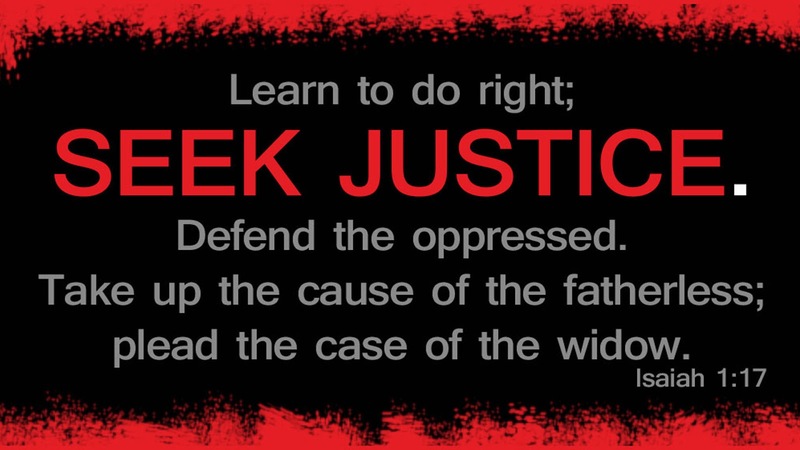 In what specific and radical way was God calling me to help the oppressed or fight for the rights of the widow. And as I prayed and sought the Lord... nothing. Back to the text from Janelle in the middle of that tent with 250 of my HSM friends. I look down at my screen and read the words Janelle wrote and knew the reason I was being met with silence was because I had been focusing on the wrong category. Janelle's text: "What if we adopt again?" I snuck away from the front of the tent and we talked and prayed. The same stirring was there with me but our recent conversations had led so far from that thought that. We were so done with diapers. The shift from 1 to 3 kids in under a year nearly killed us (and I'm almost talking litterally). I was ready to get my kids in school and get my Thursdays (day off) back to myself. I think I was dismissing the initial thoughts of another adoption as hype or maybe (more likely) I was afraid. Either way, we prayed returned from camp committed to continued prayer and starting the exploratory process. Through a series of events and conversations, God has made it clear... there's a fourth miracle story to be told with the Prenkert family. We are pursuing a newborn domestic adoption. Yup, we know it sounds crazy, but God has made it so clear that we'll accept the crazy that it is. Here's some basic info we feel comfortable sharing at this point. We are working with a group based in California who has connections with adoption agencies all over the continental U.S. This baby may be born in Indiana, Michigan, Texas, Mississippi, California, or 40 other potential states. We've been given a timeline of 4-13 month from beginning the process to bringing a child home. We are approximately a month into that process at this point. The baby will share the same skin color as his/her big brother (something Moses is incredibly excited about). We are very excited, but it is a different kind of excitement than that of our previous 3 kids. The only way I can explain it is (and I'm not convinced it's the perfect way to explain it) it's a much less selfish excitement than with the adoption of Katylynn and Moses and the birth of Keiralee. The costs are substantial and do involve a step of faith. God has always proven faithful, and we are trusting he will continue to provide as we steward wisely and take sacrificial and creative steps. At some point in the near future we will begin to roll some opportunities for those who desire to partner financially with us in the journey. We told the kids the news about a month ago. They are "in." Kiki - She's pumped and won't shut up about it. She's told far too many people that she was not supposed to, "We're adoteeing a baby brudder or seester." Moses - As mentioned, he's ecstatic. Maybe my greatest highlight in this entire process was the night we told the kids over a family dinner. The initial excitement had worn off and we were on to other points of conversation. I looked at Moses and he was just sitting there, staring out the window with bright eyes and a smirk. I asked him what was up and he just said... "Awesome!" Right on buddy. Awesome. Would you join Katylynn (and the rest of the Prenkert 5) in prayer as we take this step by step faith journey to become the Prenkert 6?